YEREVAN (Armenpress)-Armenian Energy Minister Armen Movsisian Thursday presented a strategy for the decommissioning of the Soviet-Era Metsamor Nuclear Power Plant. The decommission plan was developed with the aid of the European Union as part of its TACIS program. The strategy outlines the first steps to be taken in order to close the plant, Movsisian told reporters. To this end, he added, Armenia will have to amend its legislation to have a legal framework to define the next steps in the process. The Armenian parliament passed a law that allows foreign companies to own shares in the future plant, he said. Metsamor’s operational period was set to end in 2016 when it is to be closed. 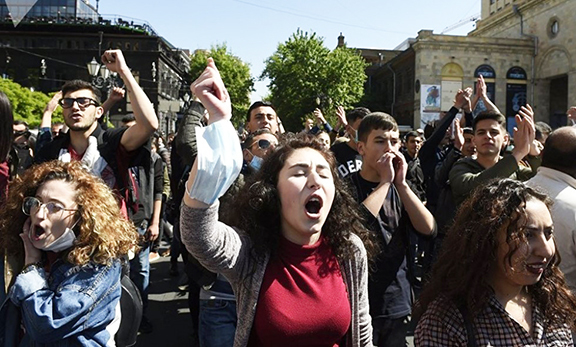 By joining the European Neighborhood Program, however, Armenia committed itself to shutting down the plant as soon as possible. According to preliminary estimations, closing the plant with the so-called "green meadow" method will cost over $240 million. EuroAtom has pledged over $200 million to the government of Armenia to this end. The Metsamor nuclear power plant was built during the 1970s, about thirty kilometers west of the Armenian capital of Yerevan. It was constructed with two VVER-440 Model V230 nuclear reactors, and the technology used at the time is no longer acceptable by modern safety standards. The plant is the same model as the one that melted down in Chernobyl in 1986. The first reactor was put into operation in 1976 and the second in 1980. After the destructive earthquake that hit northern parts of Armenia in 1988, the former Soviet government decided to close it down. The first reactor was halted in February 1989 with the second following in March. With the plants closed and the country in economic collapse after the collapse of the Soviet Union, independent Armenia fell victim to a severe power shortage that lasted five years. The Armenian government reopened the plant in 1993. The Unit 2 reactor was brought back into operation on October 26, 1995. The power plant produces about 40% of Armenia’s electricity.